Kitchenaid state their 100 year success is due to “quality craftsmanship, versatile technology and timeless style”, a theory that strongly relates to what we do here at Red Scooter, so the combination for their annual ‘Retailer Night of Nights’ function was a perfect match. It was an intricate and complicated function, timed to a tee, and top quality an essential. A combination of demonstrations, food sampling, AV, entertainment and product launch, this function was a stand out. Our head chef Joel Reilly worked closely with Jo Richardson from Kitchenaid, to develop a menu that Jo could demonstrate on stage, whilst being prepared for the guests in our kitchen. 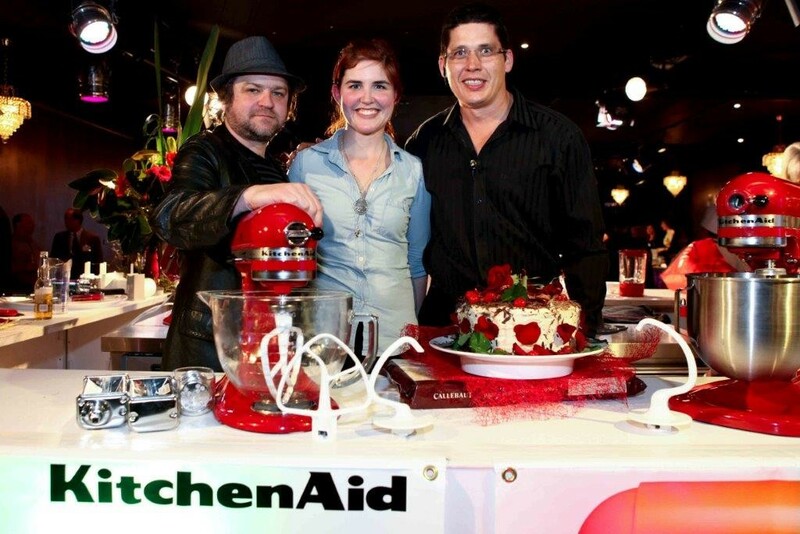 The guests were lucky enough to be entertained by surprise guests, series one Masterchef contestants Chris and Julia, who whipped up a dish using Kitchenaid appliances, and proved Red Scooter to be a truly lucrative function space.